Five years ago, I fell in love. My partner, Scott, took me to a place I’d never heard of. A place he’d already been twice before. The moment I stepped off the plane, I inhaled the musky island scent and knew immediately that I’d found my happy place. Since that first trip, the island has always been on my mind. I spend hours daydreaming of the life I want to make there. 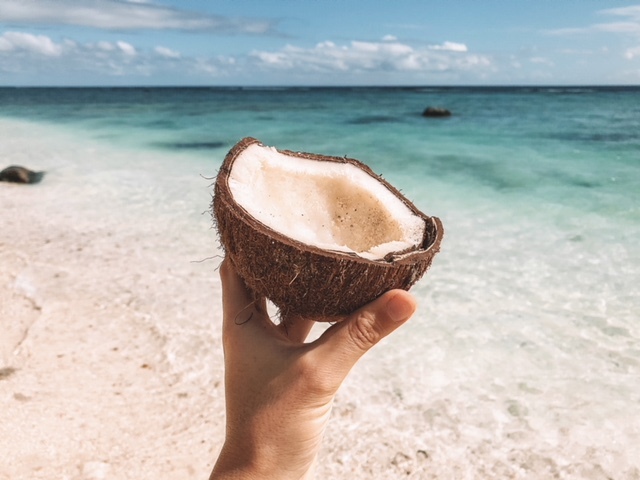 How happy I’d be, getting away from it all and enjoying a simple existence full of casual magic, a sparkling lagoon and coconuts aplenty. 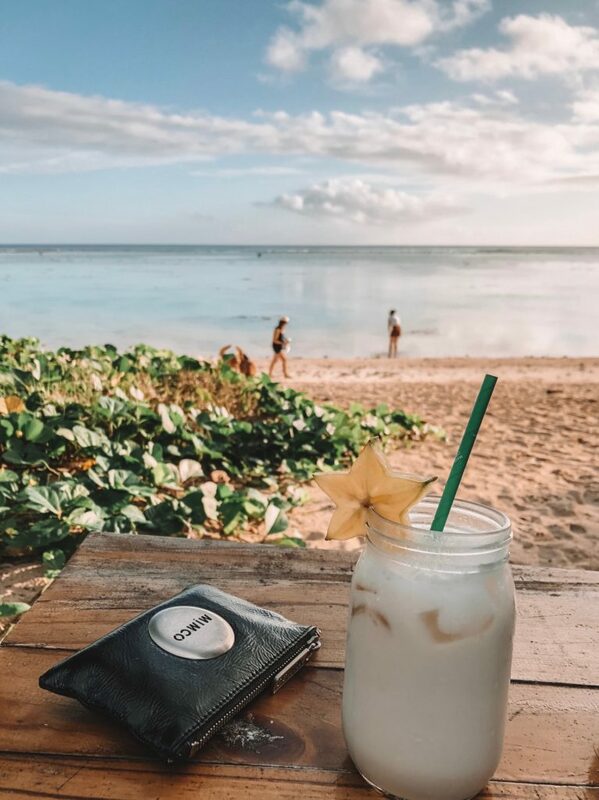 I recently returned, for the third time, to beautiful Rarotonga. This time, Scott and I took his parents and my best friend along with us to share this little slice of heaven. If you’d like some more details on our trip, please visit my TraveLibro profile. Don’t forget to sign up & follow me so I can follow you back! The gorgeous pool at Arcadia Retreat, our home for eight nights. 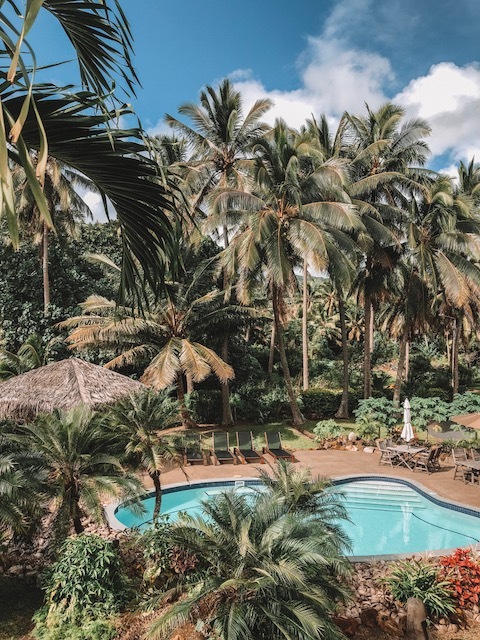 On our previous trip to Rarotonga in 2016, Scott and I stayed here also. Back then, it was called Manuae’s and there were only a couple of units on the property that were available to stay in. The main house and other house on the property were occupied by Manuae and her family. This time, we stayed in the house (Villa Tai) where Manuae had lived with her granddaughter. The new owners have done a great job with the property (despite removing an entire avocado tree in favour of the pool area)! 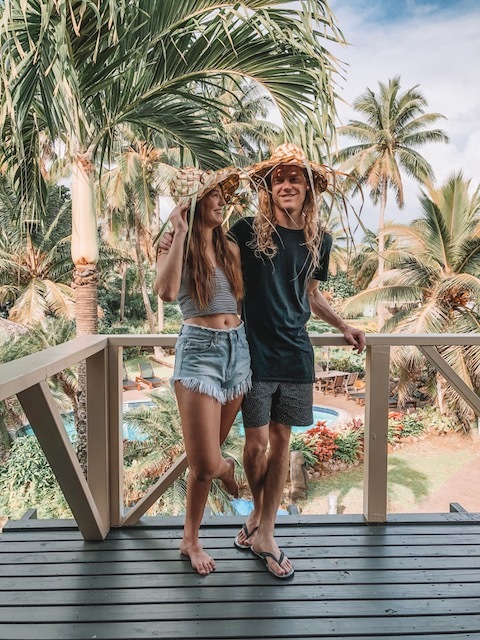 Scotty & I loving life in paradise… and our palm leaf hats! We got them the night before at the small unit we stayed in when we first arrived; our flight landed at 2:00am so we booked one night at a unit close to the airport. 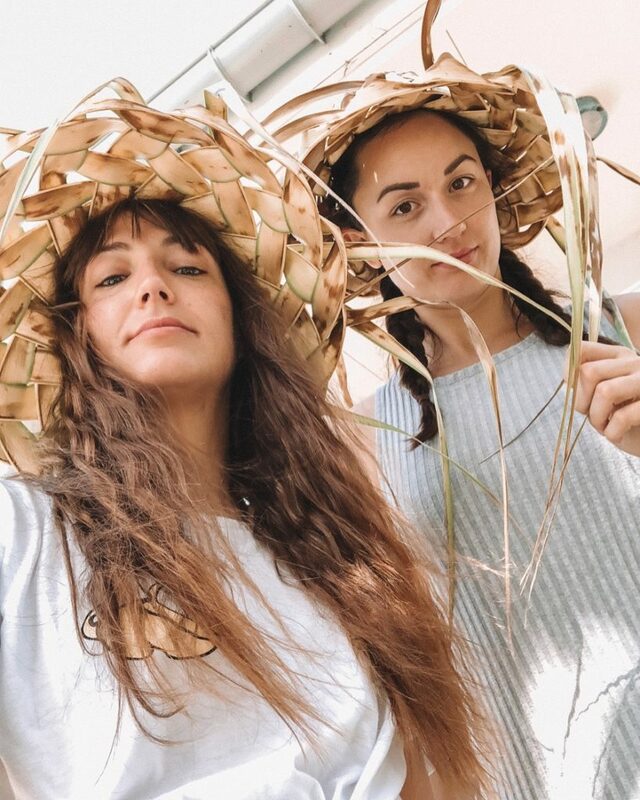 When we finally got there around 3:00am, we were tired, delirious and extremely excited to find these handmade palm leaf hats waiting for us! 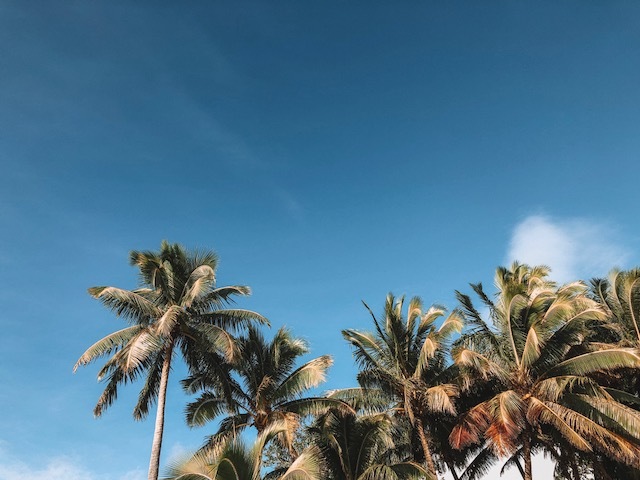 Palm tree skies are my favourite kind. Pina Coladas at the Shipwreck Hut on A’roa Beach. This was one of our favourite places to grab a sunset cocktail, and it was just a short stroll along the beach from our villa. The cocktails were delicious, and the sunsets were insane. The best part, however, was Dexter, the resident golden retriever! 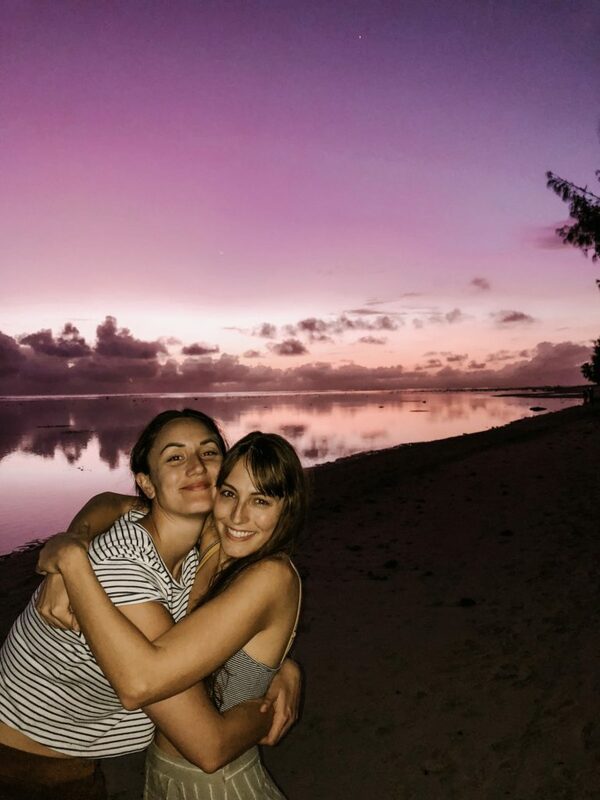 Bestie hugs and a gorgeous sunset sky at the Shipwreck Hut – I told ya the sunsets were insane! 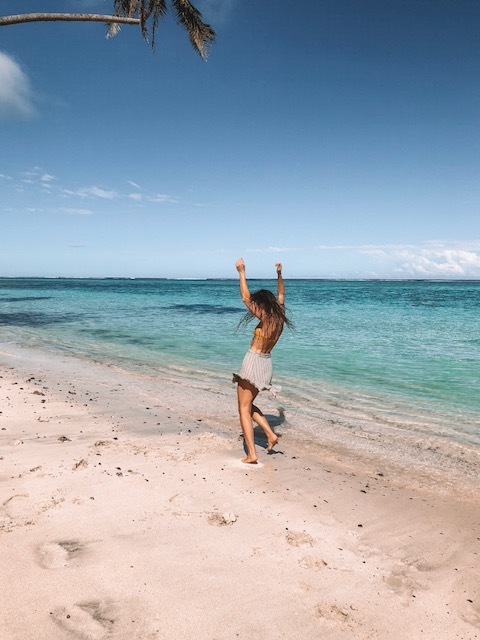 Dreamy days were spent soaking up the sun and salt water in places like this. It isn’t hard to find a beautiful spot by the lagoon to relax. This one is the beach near Papua Passage, across the road from the abandoned Sheraton Resort. Always dancing to my own beat. I could stare at this view forever. Pina Colada o’clock! 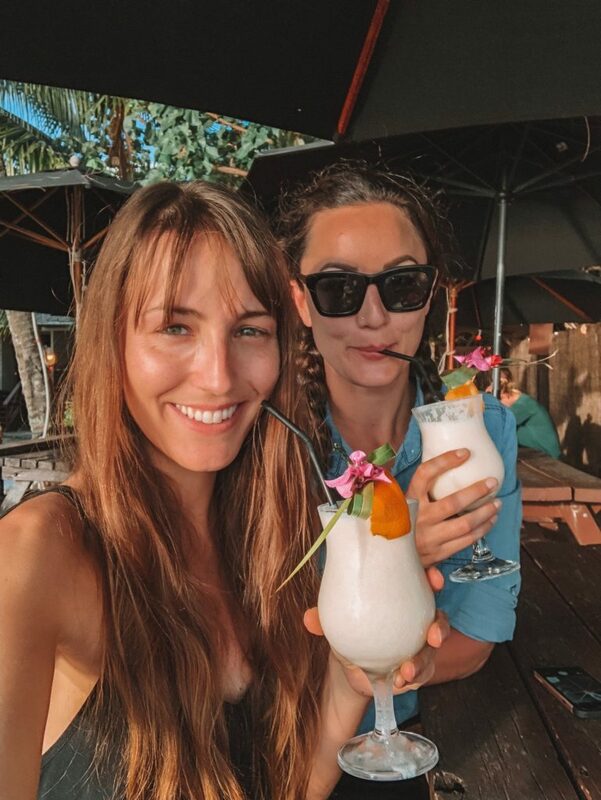 We discovered another awesome beach bar – Wilson’s Beach bar at the Castaway Resort. They had an awesome cocktail happy hour, a resident ginger cat and of course, an incredible view of the sunset. 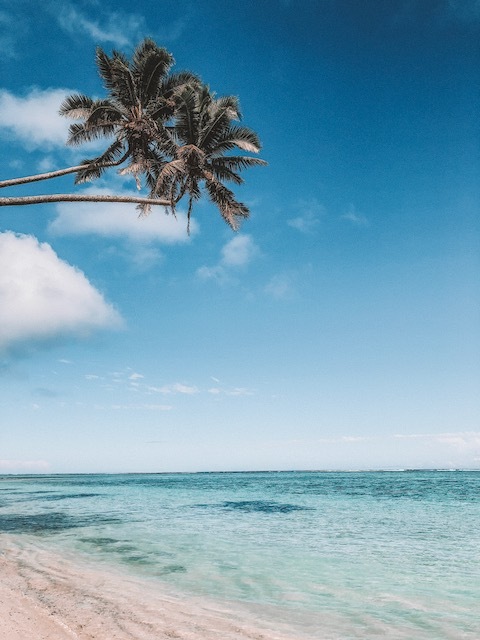 All I need is sunshine, salt water & a fresh coconut. 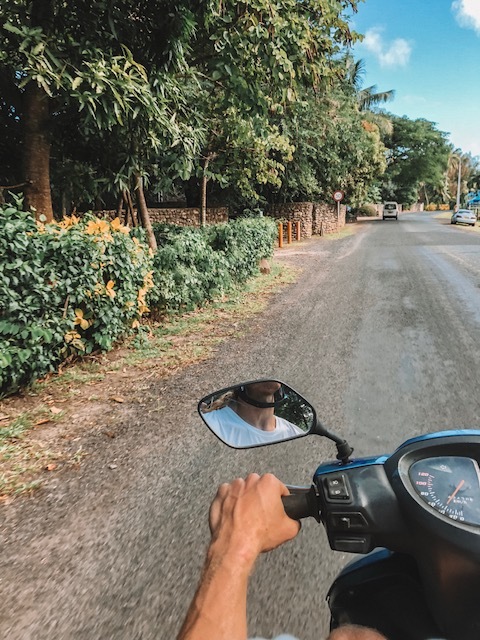 The best way to get around the island? Hire a scooter! We were clearly obsessed with these hats. Sunset beers by the lagoon. This section of beach was located across the road from our villa. 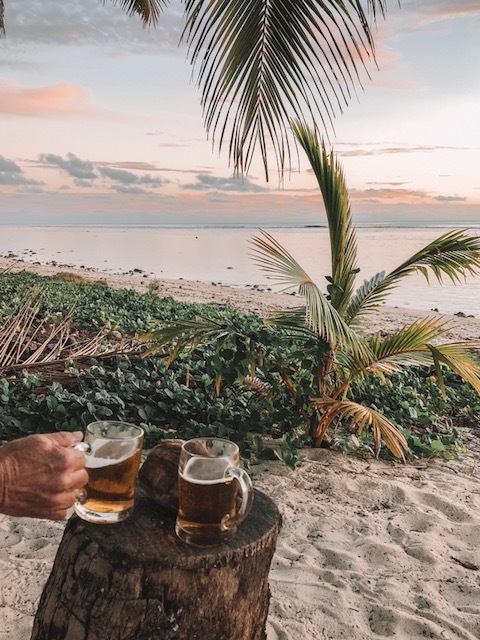 We’d often venture down to admire the sunset, dip our toes in the lagoon and enjoy a BYO beer in the sand. This little kitter was found by Carlee on the side of the road, half dead and dehydrated. She took him back to our villa, cleaned him up, gave him water and food, and lots of love. He was so tiny and cute, and we guessed he was around 4-6 weeks old. After he was looking better and we’d given him all the cuddles in the world, we jumped on our scooters and took him up the road to Te Are Manu. 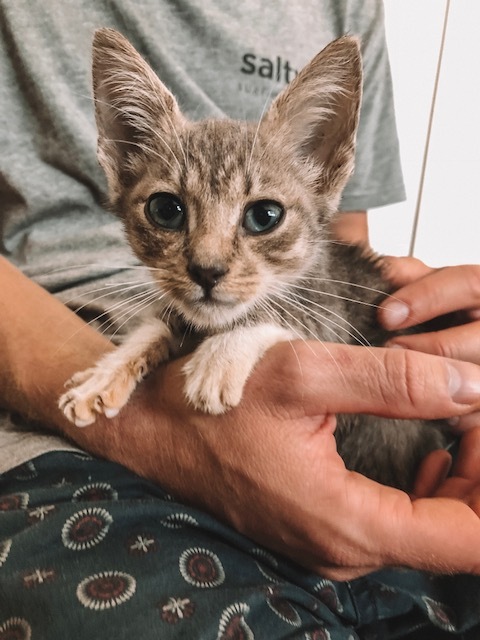 Te Are Manu is a vet clinic in Arorangi that is run entirely on donations, and 100% of all funds donated are used to help animals on the island of Rarotonga. We made a donation to help cover the costs of looking after the kitten (which we named Little Nugget) and rehoming him. If you’d like to make a donation, please click here. And yes – I did look into the possibly of bringing him home. Sadly, it is a very expensive and long process. Te Rua Manga (The Needle). 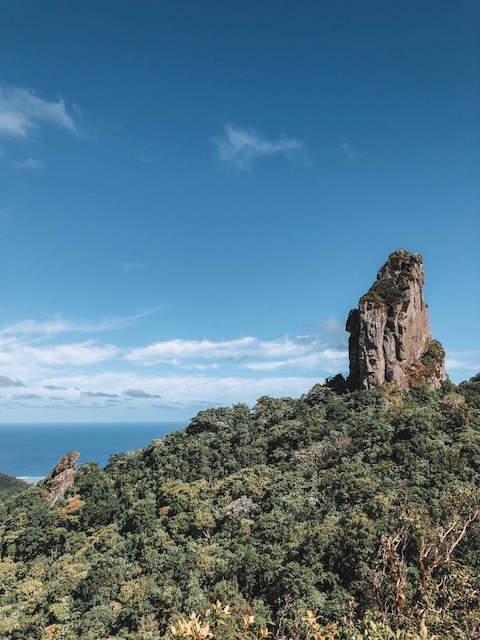 The Needle is a tall rock formation that is one of the most well-known parts of Rarotonga, as it can be seen from several places around the island. Scott and I did the hike up to the Needle on my first trip to Rarotonga, and I remember it being pretty tough but fun. The second time I visited, we didn’t hike the Needle in favour of some of the other hikes available on the island. This time, we decided to do the Needle again. All was well until we ran into some other people who appeared to be a bit lost. As we made our way to them, they asked if we’d done it before. Scott and I said yes, and as Scott took the lead, everyone else followed. Unbeknownst to us, they’d already gone past the (not super well marked) section of the track where we had to turn left and cross a creek. Long story short, we went the wrong way. For a long time. Oops! Eventually, we figured out we’d gone the wrong way and had to scramble back down. We found the correct track, and made our way to the top. Our misadventure added an extra hour or so to the trek, and we were absolutely exhausted by the time we finished! Muri Lagoon – have you seen my kayak?! This was taken while we were free diving in Papua Passage, and it is one of my favourite photos from the trip (and maybe ever). Thanks, Carlee! 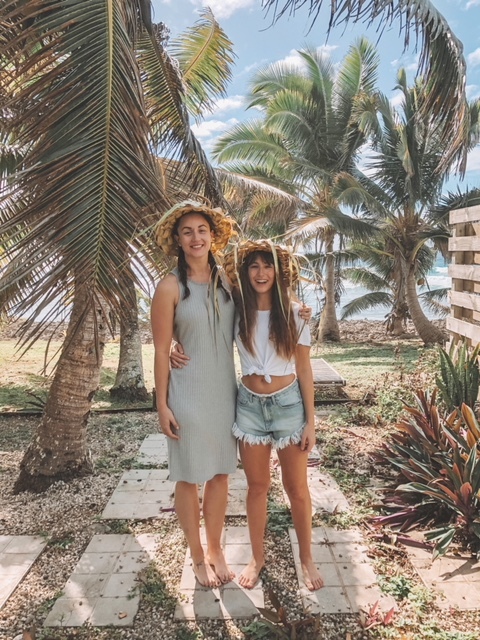 To discover more about our trip to Rarotonga, don’t forget to check out my TraveLibro profile! TraveLibro is an awesome travel app, perfect for travel bloggers and adventurers alike. You can create itineraries based on your journeys, create bucket lists, and explore the journeys others have taken to places you want to visit. The best part? It’s all free! For travel bloggers and writers, it is a great way to keep track of what you do each day while you’re travelling. Rather than jotting down notes and creating multiple photo albums, you can create a live journey while you’re travelling and upload details you want to remember about your trip, plus any photos to go with it. Then, when the time comes to actually write about your adventures, it is all there ready to go. Let me know what you think of my photo diary – what is your favourite photo? 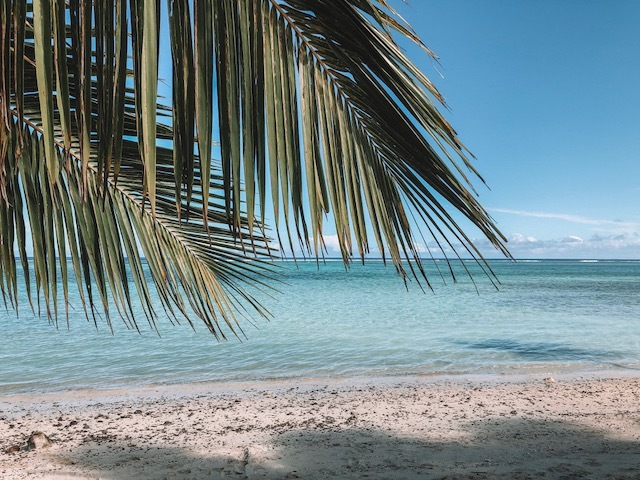 Are you inspired to travel to beautiful Rarotonga? Do you like pina coladas? And getting caught in the rain?